Looking for some nice bars to head to next trip, been to the nest a few times on Suk11 it didn't make this list. First time I went to LOS we stayed for our first night as a stop over to Patong at the Grand China Princess Hotel in Chinatown. It had a roof top bar with a pool right on the edge of the building. Talk about vertigo , yikes. But the thing I found the weirdest was one floor down from the rooftop was a restaurant that had a Rotating floor. 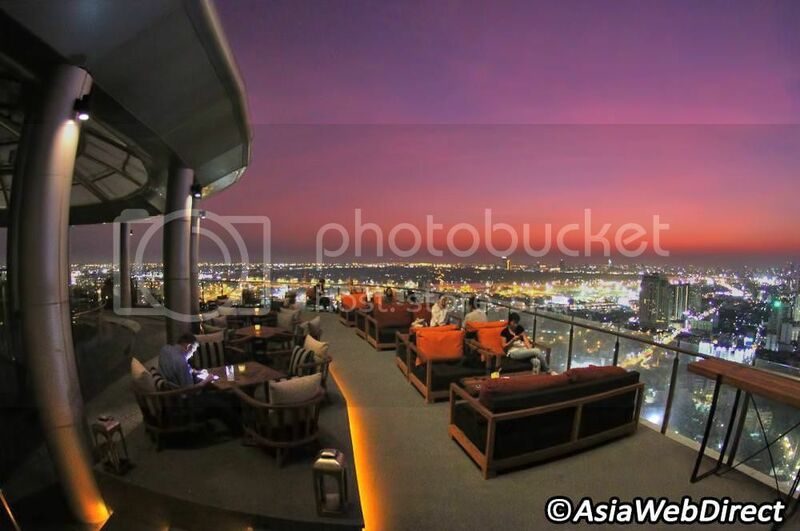 So as you had dinner or drinks you would get a great view of most of Bangkok. Not sure i would be to comfortable at the vertigo ... due to the vertigo ...555 ... but the Cloud 47 looks ok .... although Cielo is more my type ..
One level is really big with seating and the top level is where the DJ is.....can get loud though. Sydney, Ian Forbes, OZZYGUY and 2 others like this. OZZYGUY and KRIS-ONE like this. Millenium Hilton was great not sure if the best by far but just has a great chilled feel. On ground level Bangkok Mary on corner of Suk and Soi 22 great Indian upstairs Holiday inn. I'd still recommend it and say go even if you have to pay for the water. It is still the Marriott so the service is excellent and certainly not pushy so even if the mixed drinks are so-so average and overpriced, get a bottled beer for you and a water for her and admire the view. Been to Zeppelin last year with a lady friend. 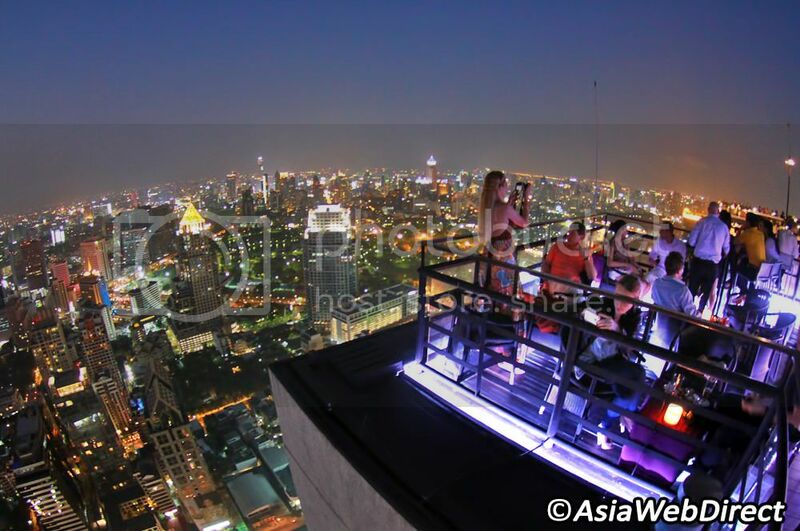 The view is good, the prices are premium, getting my friend to walk over the glass floor was impossible, going by taxi from Soi 6 was a huge mistake. 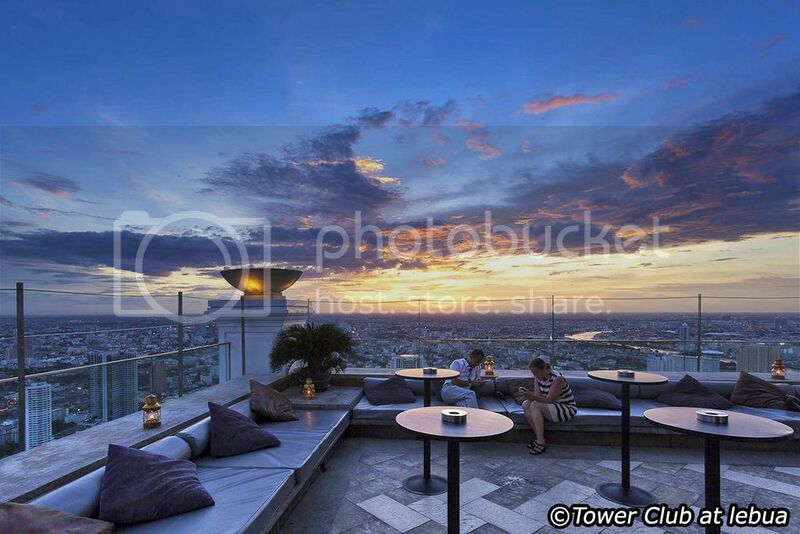 Ozzy, stayed at the Pullman G in Silom when we did the trip to Hua Hin late last year for a couple of nights, and there is a great bar up on the 37th floor. Has a smallish outside area where you can eat and drink plus huge bar and eating area inside. City Views down to the river from the outside area,. but better views from the window tables inside. The food that we had there was really good as they have an extensive type of Tapas style menu along with some really good quality cold meat cuts and some excelent cheeses. Not cheap, but it is my type of food, so no problem for me with the type of menu that had there. I was very suprised to see so many Thai's (young & older) getting stuck into the platter boards of cold meat/cheeses, it was something that I would not have expected to see. If anyone ever thinks of staying there, it is well worth paying a bit extra and getting the Executive Package. On top of the room, you get private check-in, Breakfast in the Executive lounge that is served to the table, access to the Executive Lounge all day, and at the end of a hard day, 2 hours of beautiful complementary Canapes/Cheese, hot snacks etc as well free beer wine & ****tails. Last edited by chelski; 9th March 2016 at 11:15. Not really interested in the food its more of a place to relax taking in the view for a drink or two before heading out. As silly as it may sound to some we don't really like to eat at fancy places much rather plastic chairs, markets and bbq places. I will go to Above11, I got a feeling I went before a few years back not sure. Everybody keeps saying how expensive these joints are. So using these two as a benchmark how dear are they . Singer Beer and Glass of Wine. ^ Thats about what I was guessing, But you would not want to go on a bender at those prices . Nearly $ 9.00 a beer. But Im not surprised either.